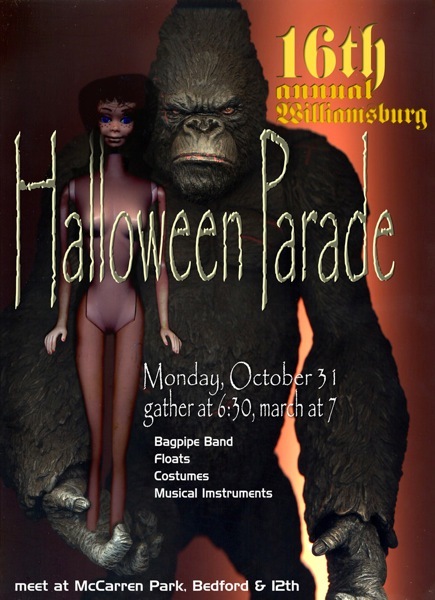 Monday night, October 31st, is the 16th Annual Williamsburg Halloween Parade! This year with a FULL BAGPIPE BAND + DRUMS! Costumes • floats • Bring your own musical instruments!